The wreaths were used to decorate the Rosenbaum Family House until they were voted on by Family House's Advisory Board. They were then included in the wreath auction fundraiser for Family House. 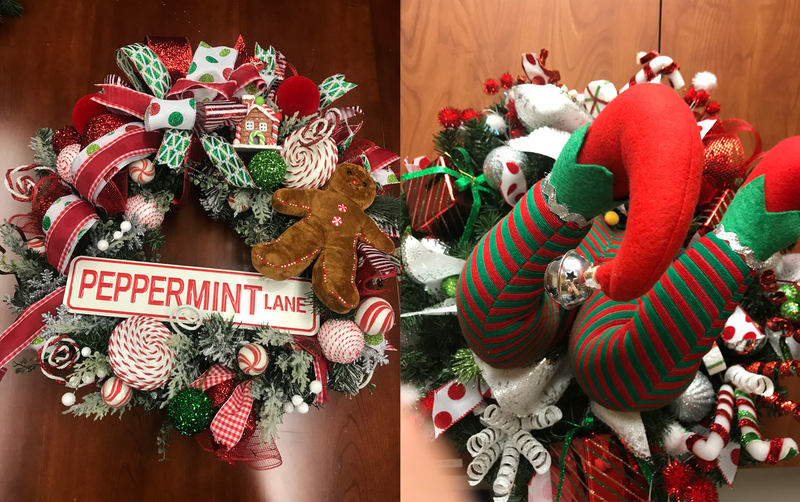 The wreath auction award winners are, left, "Peppermint Lane" and, right, "The South End of the North Pole."